Buying, Selling & Renting. Use for all your LOCATION MATTERS! For Peace of Mind in Real Estate. Clear and understandable spatial risk analysis exclusively for your address. 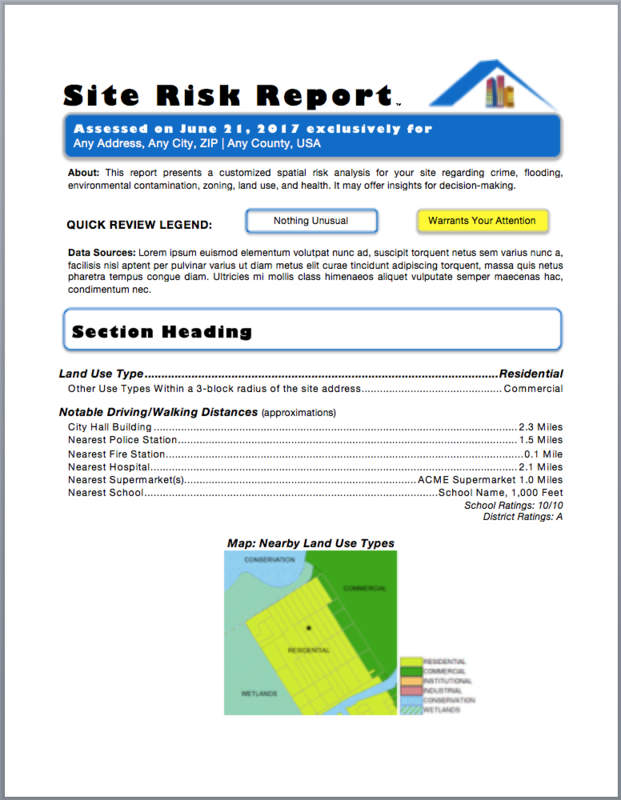 Risk One-Sheets include details of the most common spatial risks in real estate that may affect your site, all in 1 easy to understand page. Perfect for home buyers and renters! Site Risk Reports include approx. 6-pages of details you need to make informed decisions, along with maps, annotated commentary, and options for custom analyses to meet your specific real estate needs. A must for investors, developers and business owners! These are not generic computer generated reports. It's professional risk analysis by an expert (human). 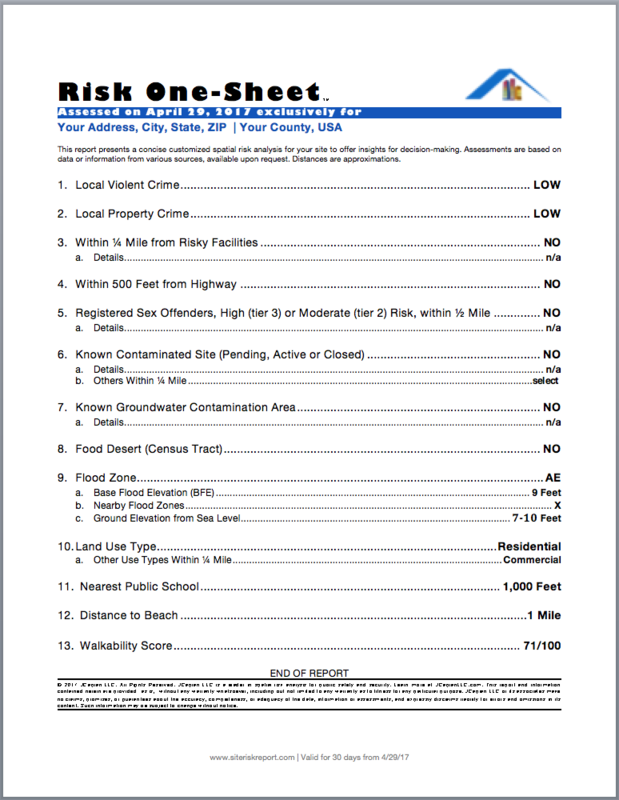 Risk One-Sheets, Site Risk Reports, and SiteRiskReport.com are property of JCaplan LLC. Copyright 2017. All Rights Reserved.